OneAccord is pleased to welcome Mark Hulak to the team. Mark brings more than 25 years of international experience in corporate development, M&A banking, private equity and operations. As Managing Director he will oversee OneAccord's M&A and capital advisory services. "OneAccord is so excited to announce that Mark Hulak has joined our team," said OneAccord Capital CEO Scott Smith. 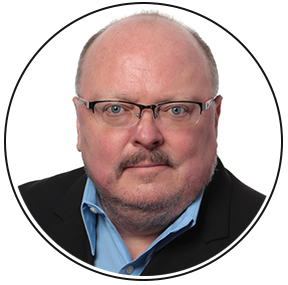 "In addition to being aligned with our team from a values perspective, Mark brings decades of deal experience to OneAccord. After receiving his MBA from Harvard Business School, he cut his teeth on Wall Street working for J.P. Morgan. From there he went into private industry, then spent six years doing acquisitions for Microsoft. He is an industry leader in his knowledge of buying and selling companies. We couldn't be happier that he has joined our team." Mark spent six years at Microsoft's Corporate Development Group leading a team supporting various business units (including Microsoft Health Solutions Group and Microsoft Research) in acquisitions, investments and divestitures, and managing Microsoft's China Investment Program. He led the high profile sale of Microsoft's stake in MSNBC to Comcast/NBC Universal. "I am elated to be joining this fine group of veteran professionals," said Mark Hulak. "This dedicated team's extensive industry experience and values-based client commitment set OneAccord distinctly apart as the preeminent trusted advisor to family-owned and privately held businesses in the Pacific Northwest." 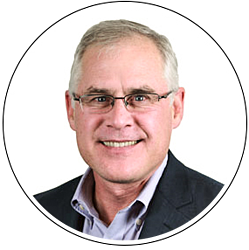 Prior to joining Microsoft, Mark built out the M&A and post-merger integration practices at BEA Systems (which was acquired by Oracle) and led a team in Hewlett Packard's Corporate Development Group. While at J.P. Morgan, he was selected for and completed the Morgan Finance Program, a training program for prospective C-level executives. Mark started in the mergers & acquisitions department and left the firm in 1996 as a vice president of private equity investing. Mark began his career as an equity sales and trading analyst at Goldman, Sachs & Co. He attended Yale College where he earned a bachelor's with honors in electrical engineering (and completed the requirements for a bachelor's in economics), and Harvard Business School where he earned his MBA. He is an adjunct professor in the School of Business, Government and Economics at Seattle Pacific University, and is very active in his community. John Kaminski has been with OneAccord for more than 11 years and recently stepped into the position of Managing Director. In this role, he will become the primary contact for business development and relationship management with OneAccord's networking partners and prospective clients, and will work with new clients to identify the right course of action for their unique situation. "With over a decade on the OneAccord team, it was a unanimous thumbs up from leadership to have John step into the Managing Director role for OneAccord," said CEO Jeff Rogers. "John has served dozens of clients in the Pacific Northwest, building on his experience previously with Vistage as well as building his own company and taking it successfully through an exit. Since the outset of his career with OneAccord, John has modeled teamwork and client service. More recently, he developed the strategic planning practice for the company, which is foundational to numerous clients." "This message is resonating with the market," he said, "and our referrals and prospect pipeline is stronger than it has ever been. I’m more excited about the future for OneAccord than I have been at any time in my more than 11-year tenure."